Size: 13 1/16 x 8 7/8 in. 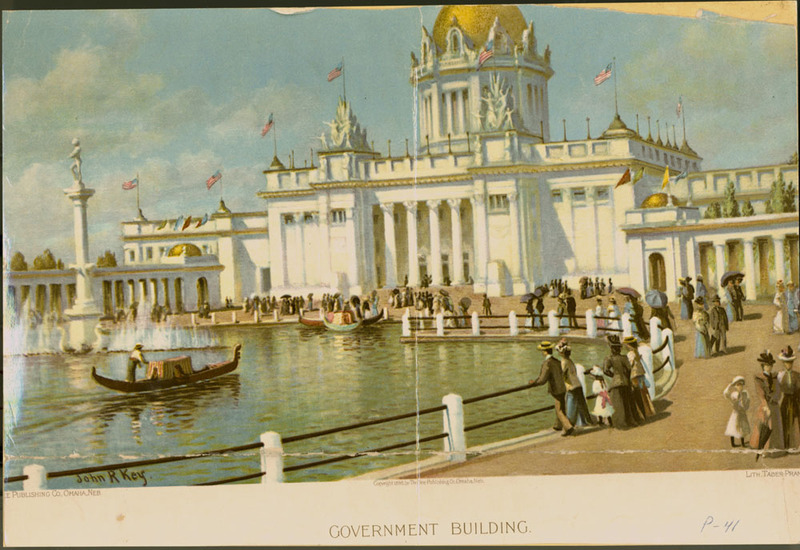 Lithograph of U.S. Government Building. Crowd gathered around lagoon. Gondolas in water. Fountain of Nautilus turned on. Taber-Prang Art Co. Lithograph. Poster. The Bee Publishing Co., Omaha, Neb. 1 sheet previously folded in quarters.